During the last century energy consumption has vastly increased in the UAE due to the steady growth in population. This has required expansion of its power generating facilities to keep up with the increase of gas demand. To facilitate this expansion 200 km of new 30 in. and 48 in. diameter pipelines have been constructed over the last four years to transport gas from a port to a power plant. Approximately 20,000 litres of Denso Protal™ 7200 high build liquid epoxy coating has been successfully applied to the field joints and pipe bends. Pipe bends were coated prior to installation with a heated plural spray machine and field joints were coated on site by brush or roller and spray application. Approved applicator Anticorrosion Protective System L.L.C (A.P.S) sent test panels of Denso Protal 7200 liquid epoxy to an independent laboratory prior to application, which passed with ease. 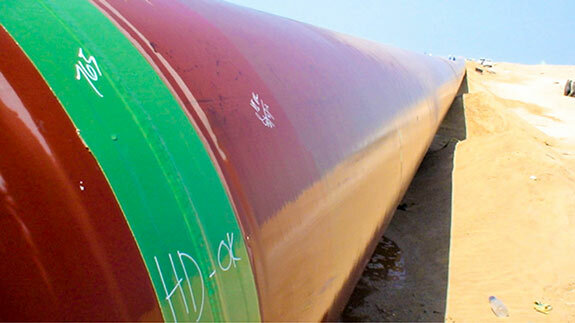 For over 25 years Denso Protal™ epoxy liquid coatings have been used to protect major oil and gas pipelines. 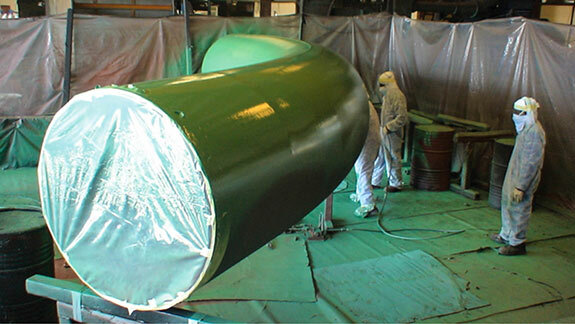 The Protal coatings can be applied by brush or spray method and include fast cure, high build epoxies for a variety of above and below ground corrosion prevention applications. 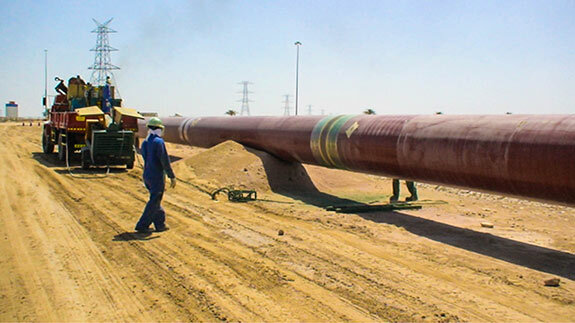 The coatings can easily be applied in high and low temperature environments and are for protecting field joints, tie-ins, cadwells, fittings, fabrications repairs to FBE and rehabilitation to existing pipelines. The Protal coatings are high build, up to 50 mils (1270 microns) in one coat. Winn & Coales (Denso) Ltd, established in 1883, has been at the forefront of cost-effective, long-term, corrosion prevention, weatherproofing and sealing technology for over 80 years. They have a long trading history in the U.A.E and have been working with their agent Bin Moosa & Daly Ltd for over 40 years. Together with their agent Winn & Coales (Denso) Ltd will be exhibiting at Adipec 2017, stand 510.